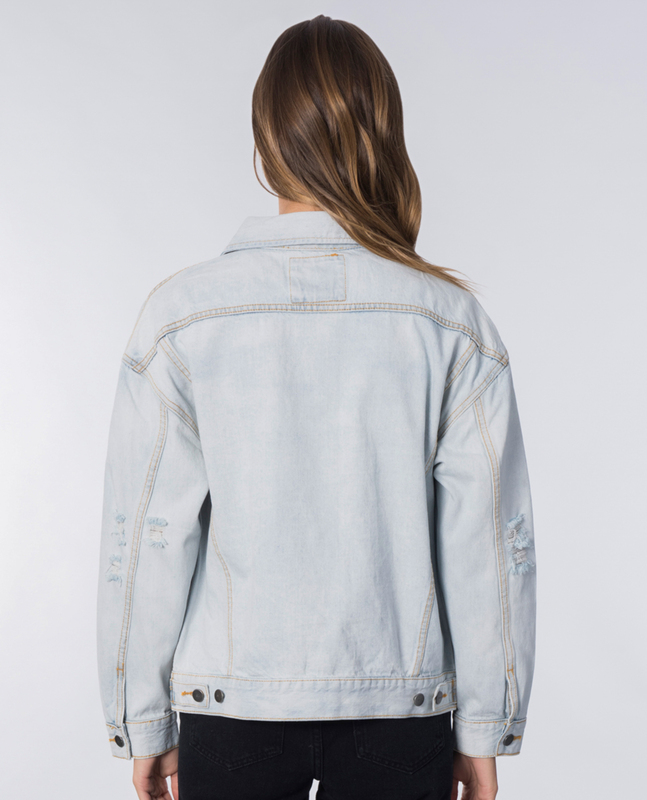 This relaxed fit womens denim jacket is your ultimate layering piece. The boxy silhouette lets you wear over hoodies for extra warmth. Pair with a dress and boots for an edgy street style.